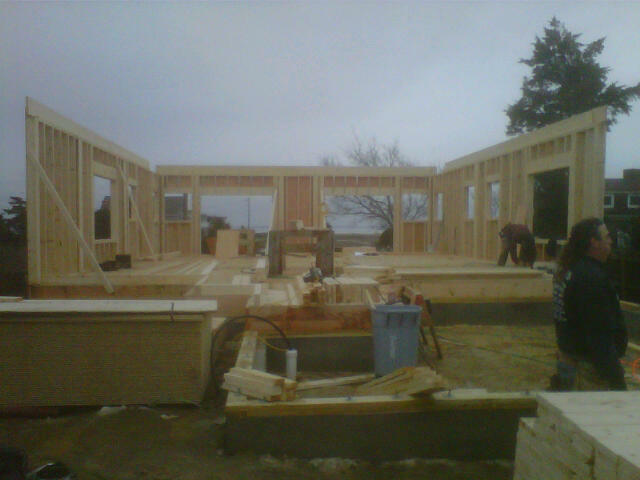 Building a Beach House: Progress! notice the lovely grey sky- remind me again why don't we live on the west coast? wahoo.... where is the Bar?